Weston Town Center has a nice small home town feel with sidewalk shops, restaurants, retail space, among fountains and Weston's own clock tower with entertainment such as an old car show last week, Easter fun, school events, Halloween costume parties, a yearly prom hangout, holiday decorations and festivities, art shows, live music events, and food and wine shows. My business office is located here. Expansion plans are in the making with potential plans of an expansion with a hotel in this Florida community. 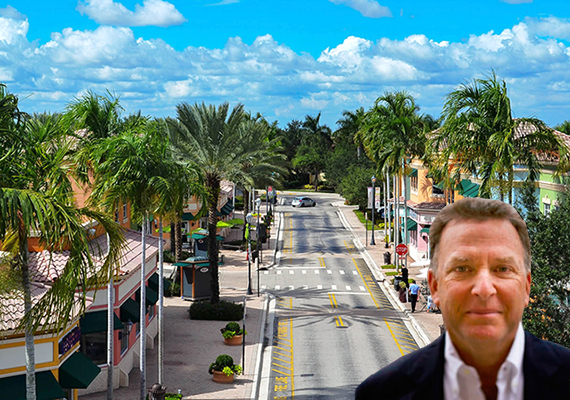 Steve Witkoff , a New York developer, is ready to purchase Weston Town Center for 90 Million dollars. Currently, there is retail space on the first floor with professional office space on the second floor. Plans include expanding the retail space into a mixed-use retail destination with a potential hotel component.